With all of the various ways athleisure (sometimes known as athletic-wear worn leisurely) has been showing up, it can create a lot of confusion. Where to wear it? How to wear it? Is it strictly a mixture between gym and street style? Either way, the trend or aesthetic is here to stay and is successfully changing how people view laid-back fashion, in a good way. We’re breaking it down with five athleisure looks fit for different occasions. None of the looks are too over the top, but each has enough precision that shows you thought about it and chose your pieces with intention. Read on to see where athleisure fits into your lifestyle. You have a date, work happy hour, rooftop party or really any occasion where you want to flex your ability to dress well. The key to landing this lies in how you mix together colors and styles. For example, a pair of tailored pants will offset a casual hoodie or sweatshirt—just pick one that’s less gym and more designer for a street-style vibe. Keep the momentum going with an all-terrain jacket. 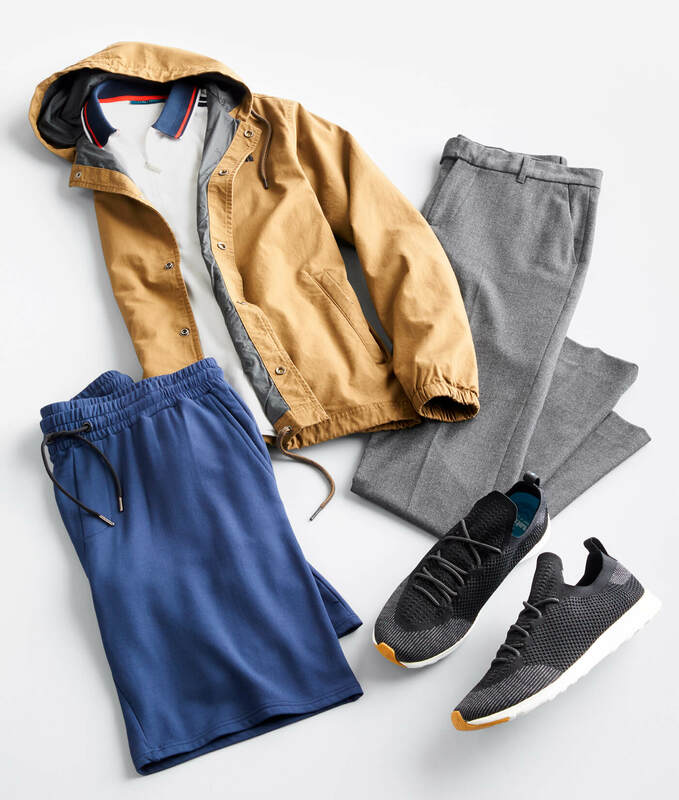 Hikeleisure or hiking athleisure could be making its debut in the next wave of sporty style, but even if it doesn’t, this outdoorsy piece fits right in. One of the best things about the athleisure movement is the influx of performance and tech features in tailored clothing. 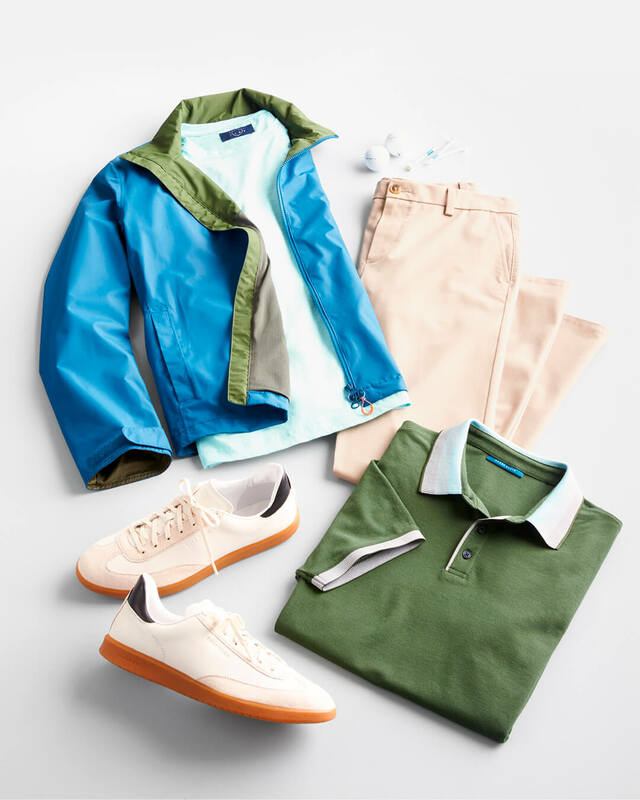 You can head to the green in sharp-looking pants, slim-cut polos, moisture-wicking t-shirts and minimal outerwear that matches every piece as it blocks early-morning mist. You’ll be comfortable, dry and fearless—knowing you are well-dressed while swinging the club (or beers after your game). You’re at the gym to workout—no doubt about it—but why not get the most out of what you’re wearing? For starters, it’s ok to match—just don’t go overboard. Blues and grays look great together, but so does orange. Adding a bright color to the mix could help boost your mood (through osmosis), while simultaneously keeping your look less couch, more juice bar. Next, load up on pieces with performance attributes: moisture wicking, stretch, zip pockets, flat-lined seams—for a more efficient workout. 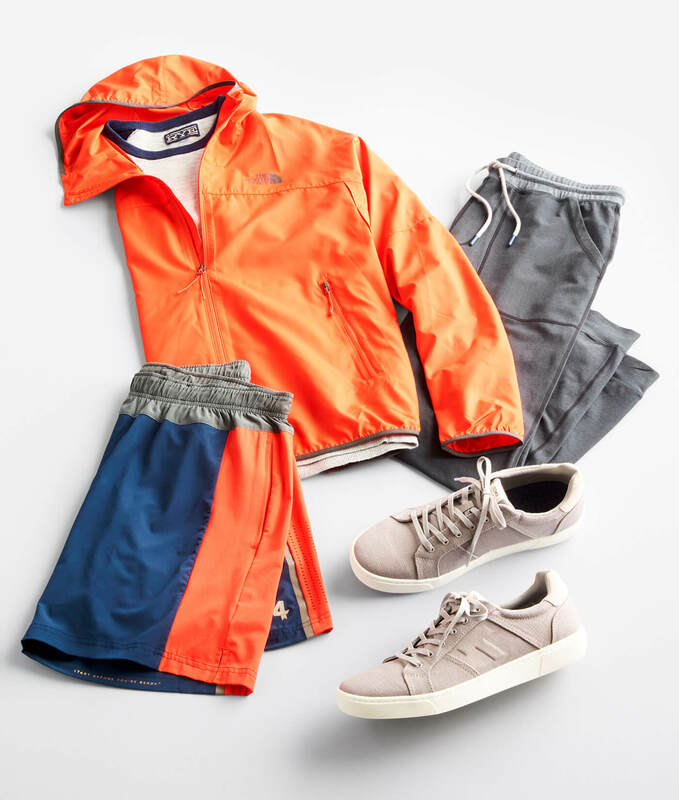 And lastly, go for styles that look like they fit in at the gym, a boutique studio and brunch—think tech shorts during the work out, and joggers for after. Saturdays and Sundays—down-time at it’s finest. You have a running list of things you need to get done (including sitting on the couch), so grab pieces that are relaxed, yet smart enough to be seen outside your home. The trick is to balance the levels of how sharp your staples are. 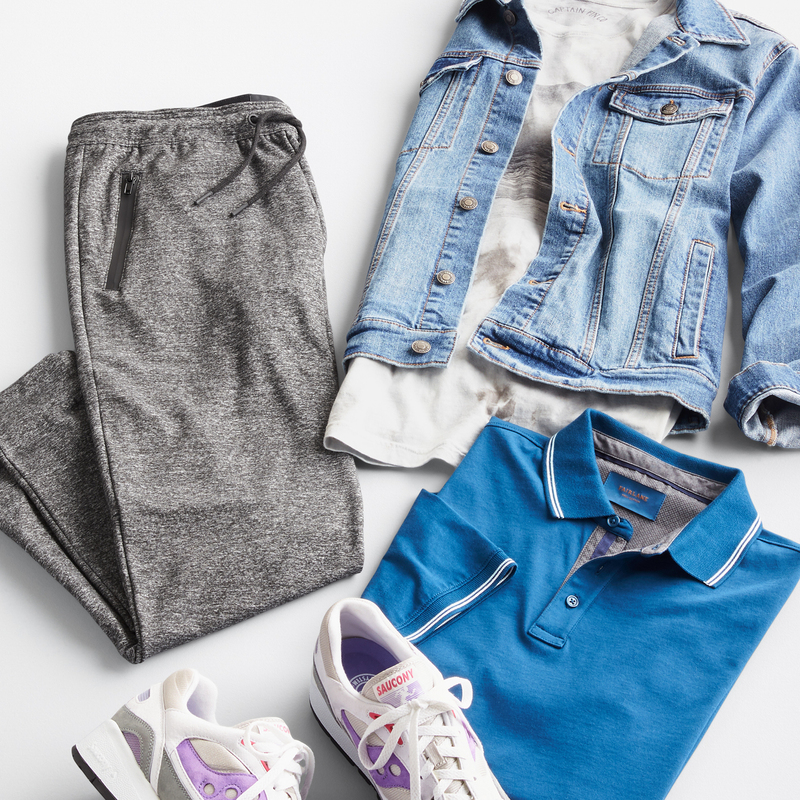 Your base could be a t-shirt and clean-lined joggers (so easy to do chores in this look), and when you’re heading out, throw on a denim jacket. Possibly hitting up a place that’s a little nicer than the grocery store? Swap in a polo and sneakers that are more street style than gym. This is a little more dependent on your work’s dress code, but since the 9-to-5 zone is getting more laid-back by the day, we say give it a go. Mixing in tailored pieces with chameleons that toggle back and forth (we see you, polos) from casual to dressy is where you should start building your look. 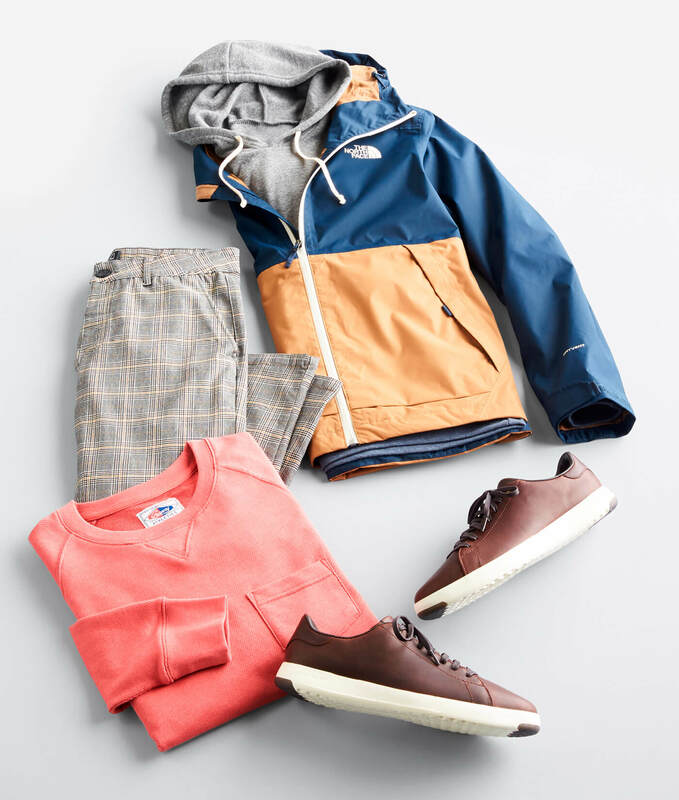 Finish with an outer layer that protects against the elements and is logo-free (or close) and your best pair of sneakers that are either minimal or techy in a neutral color. In warmer months, strategically plan your commute by wearing a pair of athletic shorts for the ride to and from work, or wear them during an early morning gym session. As you can see, athleisure can be worn with pretty much everything in your closet to create a lot of different looks—casual, dressy, and everything in between—where comfort is king but rules harmoniously alongside a great aesthetic. Ask your Stylist for elevated active-wear that will easily blend into your closet.